The MSL Code will be displayed conspicuously near the counter where Personal Identification is verified. In addition to the code being printed in the text format, it can also be displayed in a QR Code format. Consumers would scan/enter MSL Code into 'MSL Wallet'. Consumers would receive a random number with '*' in 'MSL Wallet' and would replace '*' with their own PIN to create SUDS. Consumers would give the SUDS to the Merchant to complete the verification. 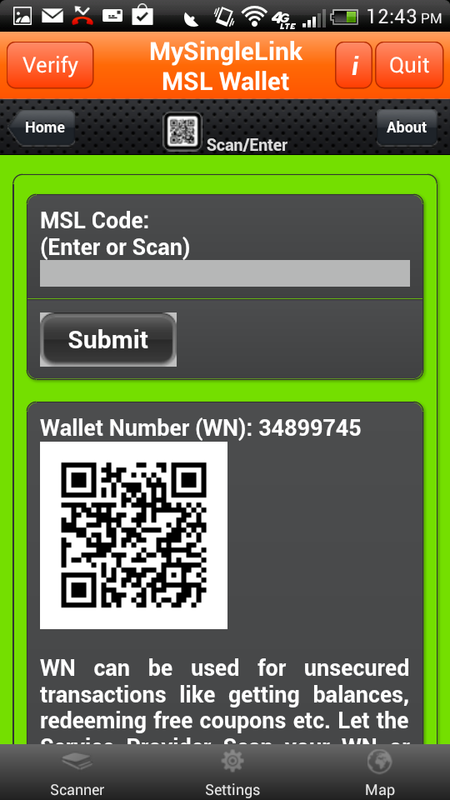 Consumer would scan/enter MSL Code into 'MSL Wallet'. Consumer receives a random number with * into 'MSL Wallet' and replaces '*' with their own PIN to convert to into SUDS. Consumer hands over the random number to the Merchant or Merchant scans the random number from Consumer's cell phone. Merchant Submits the Transaction using any one of the devices listed at the bottom. Merchant would verify the Consumer Identification based on the random numbere and also would able to view the Consumer's image on certain devices. 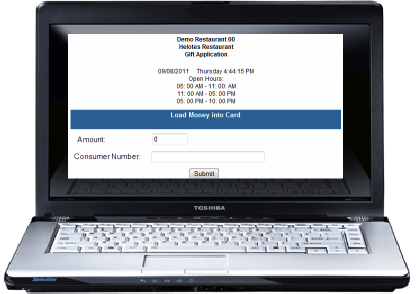 An electronic receipt will be created with the date, time, Merchant and Consumer information. 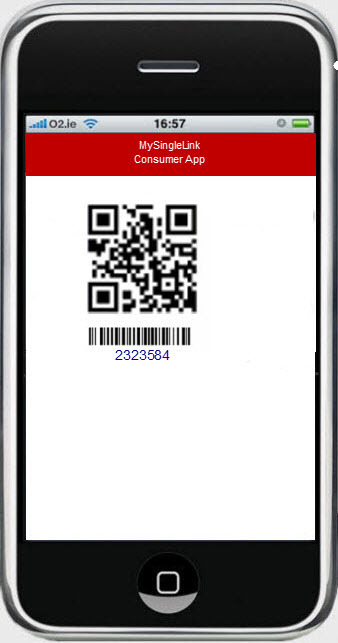 Consumer hands over SUDS to the Merchant or Merchant scans the Code from Consumer's cell phone. Merchant would verify the Consumer Identification based on the SUDS and also would able to view the Consumer's image on certain devices.